The large community of critters features a massive pool known to them as the "Ol' Swimin' Hole", the "Chickapin water slide", the "Laughing Ponds", squirting critters, Brer Bear's misty cave, the animated antics of Brer Rabbit displayed on the wall, and much more! 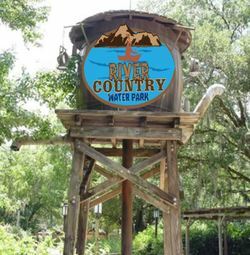 This play structure features a giant briar contraption with water buckets, mists, splash pads, fountains, a wet water well, and signs telling the story of Brer Rabbit's tricky pranks on the Brer Critters. 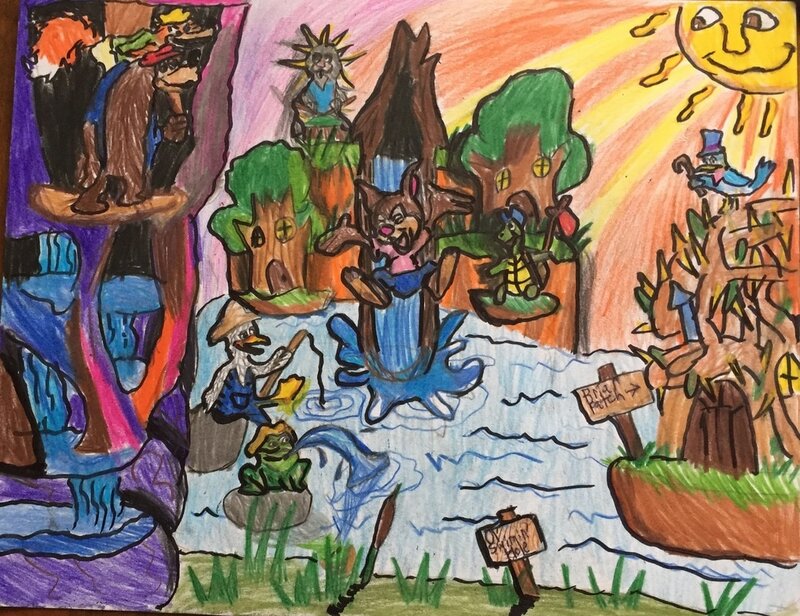 Climb and travel through the various levels of the Briar Patch, but watch out for the water leaks...the patch was recently flooded! Satisfactual Splashdown - Race to the Finish! Join Brer Rabbit and Brer Turtle as they race through the grassy marsh, bayou forest, and critter village. Race against another group of four as each group boards a log shaped raft, and begins their decent down to the briar patch. Will Brer Rabbit win like he's convinced he will, or will Brer Turtle be able to concoct a plan with his three lookalike sons? Ride is maximum of 2 minutes. It's the lesson today. Themed to be placed along with the Splash Mountain area, Home Sweet Home is an ice cream and sundae shop to keep you cool on a hot day. Featuring ice cream in cups or cones, strawberry, vanilla, chocolate, or peanut brittle sundaes, and waffle ice cream sandwiches. A quick service venue with sandwiches and salads, including kid and family portioned meals. It is themed to resemble and blend in with the rest of the Splash Mountain area. 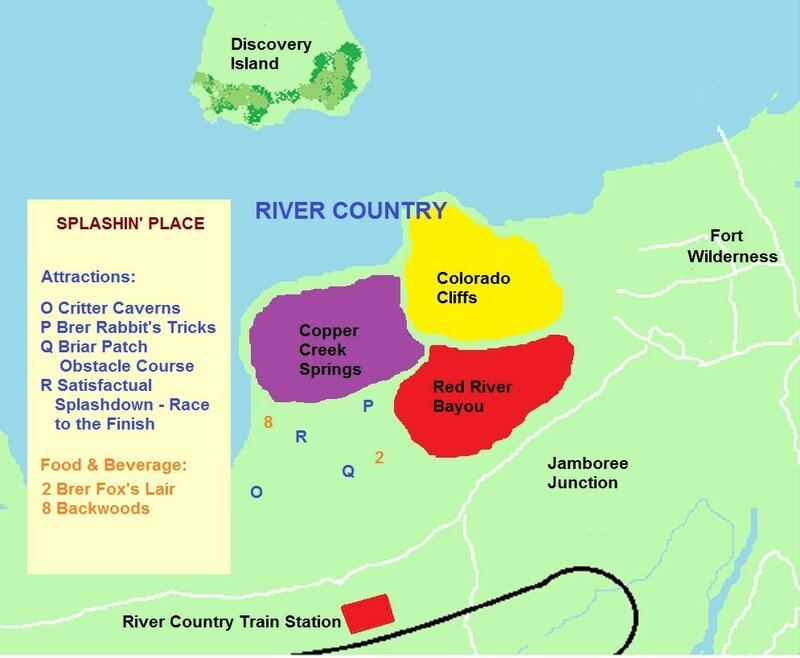 Restaurants to the left of Critter Caverns , Brer Rabbit's Tricks in front of the Caverns, Briar patch to to right of critter caves (optional entrance inside the Caverns), boarding area for Satisfactual Splashdown is to the right of Briar Patch. Riders will go through the Splashdown entrance, ascend the queue, most of the ride will take place above the Splashin' Place, with a brief dip into the back of critter Caverns, and a finish in the Briar patch, in between the obstacle course and initial ride entrance. Critter Caverns will be completely or mostly enclosed. Briar patch will be partially enclosed, and partially outside.